Yesterday my little guy graduated from kindergarten and my 10 year old had her last day of school. So I guess for us, though it seems super late, it is the start of summer. Truthfully I am happy for a break but a little nervous too…. 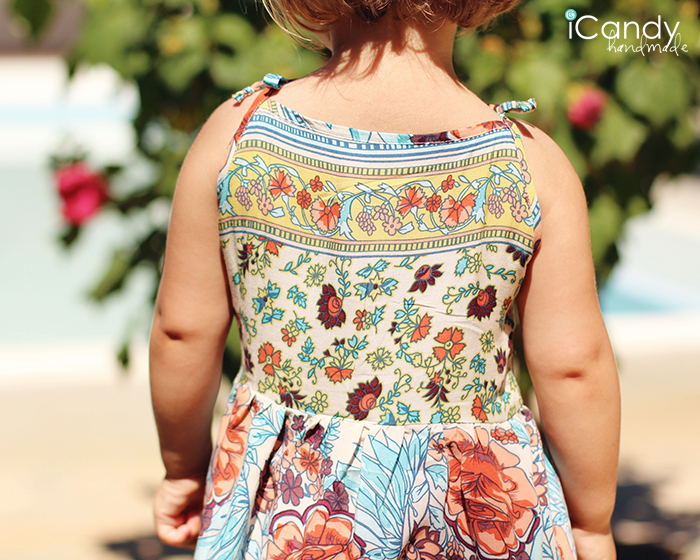 So since summer just started for us, it is the perfect time to post a little sundress I made as part of Melly Sews annual 30 Days of Sundresses series. 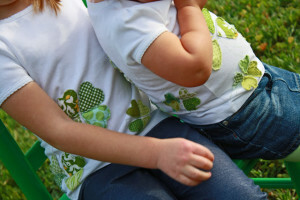 You might remember my 2015 post for this series- The Contrast Bib dress free pattern. I had the opportunity of making one of the dresses from the book to share with you today. 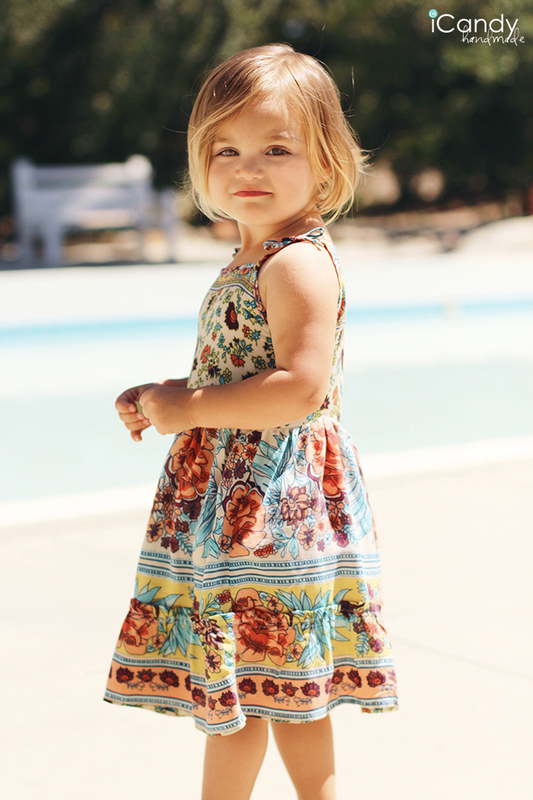 After looking through the fun designs, I decided to make the Palmer Dress for my toddler. I had an old dress of mine that I was saving to repurpose and it was the perfect fabric for this little number. The pattern calls for packaged bias tape for finishing the neck and armholes and guess what? The existing dress I used had a similar neckline so I just seam ripped the bias tape right off and was able to reuse it. So great. Sundressing is a book that comes with basic bodice patterns for women and girls, and you alter those to make a whole slew of fun designs. This is such a great book to help take your sewing skills to the next level. With that said, I would definitely recommend this book for the intermediate or advanced sewist. 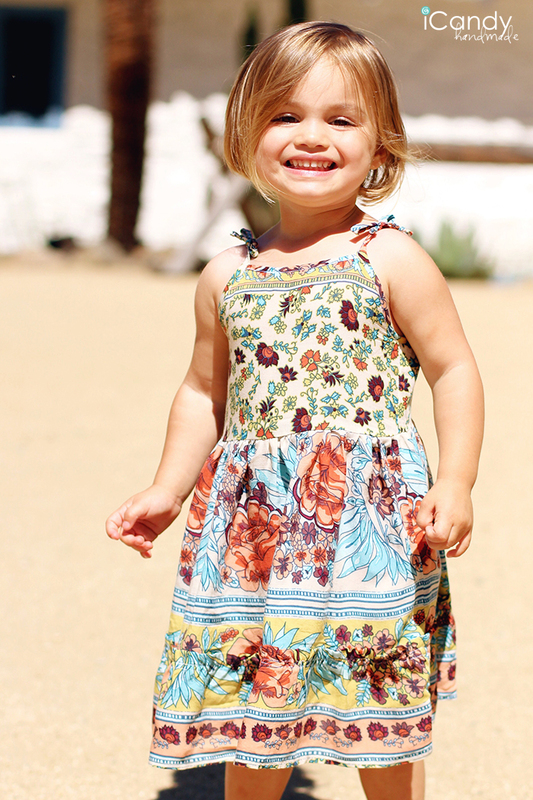 The original Palmer dress pattern is a maxi dress style, with an elastic waist casing. For a little 2 year old, I wanted it to be longer than knee length but not quite maxi. I omitted the elastic waist because the dress is looks super cute just flowy. 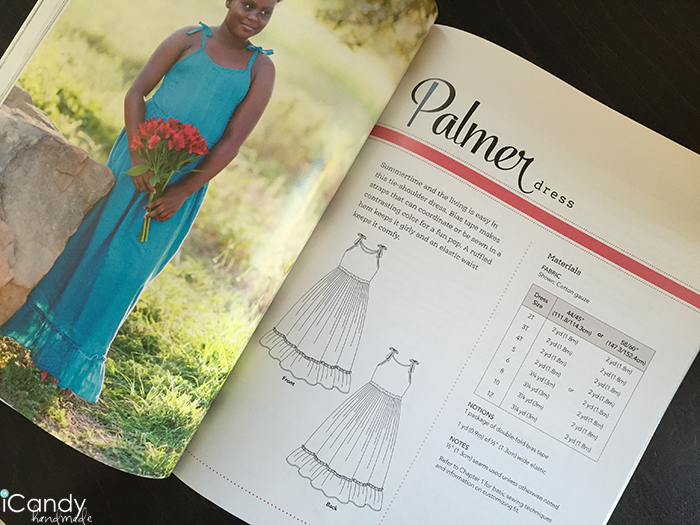 The great thing about Melissa’s book is that you can take these dress designs and customize them so they are your own designs. 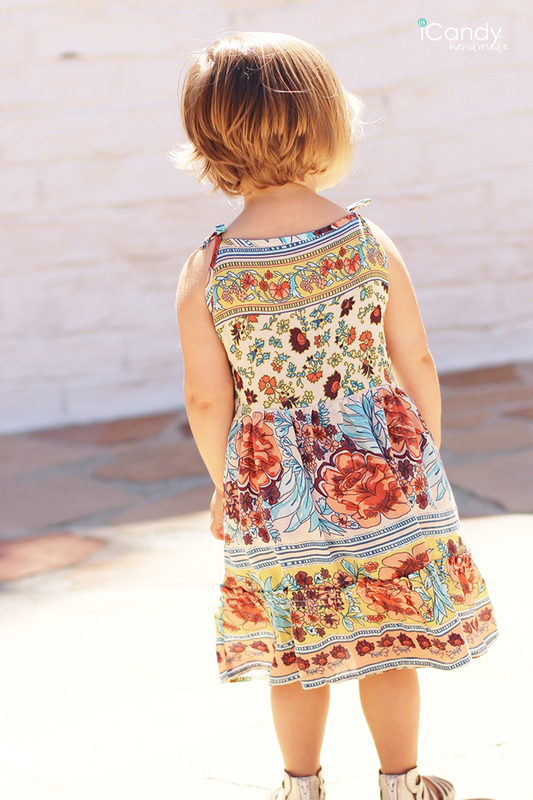 It was such a fun little dress to make and it fit her perfectly. I highly recommend it! 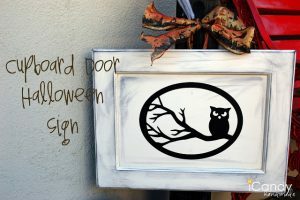 Check out the rest of the series and a chance to win a copy of the book on Melly Sews.